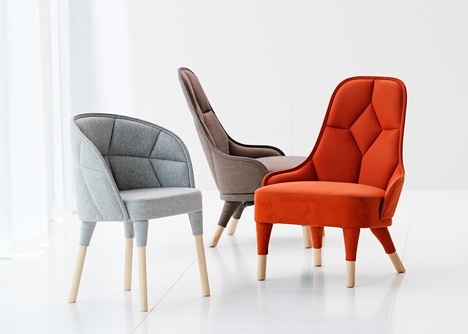 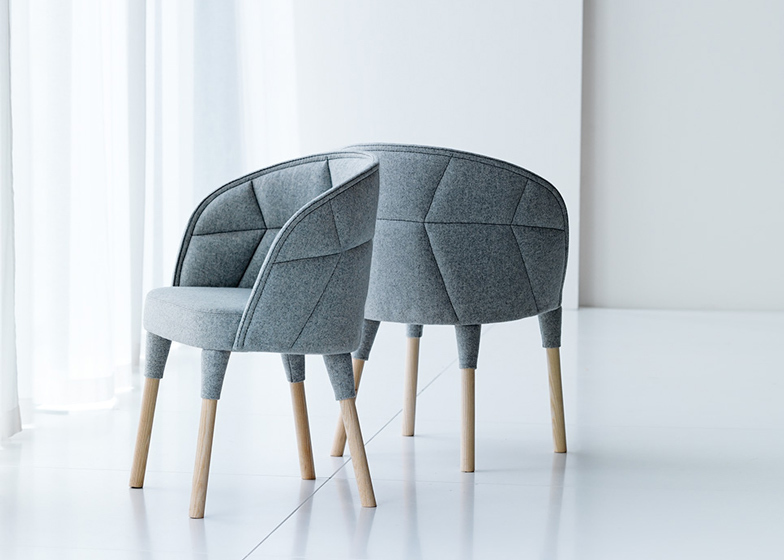 Swedish-French design duo Färg & Blanche has created a small padded chair for Swedish furniture brand Gärsnäs. 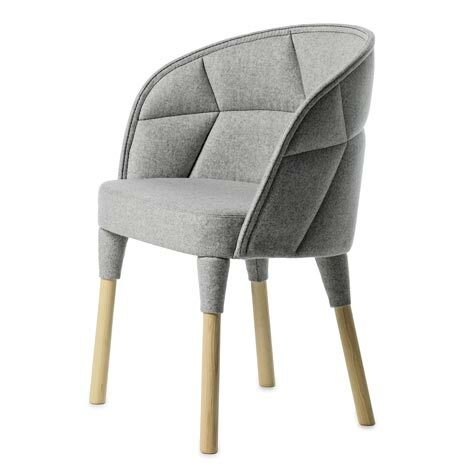 The chair back curves around the seat to form the arms. 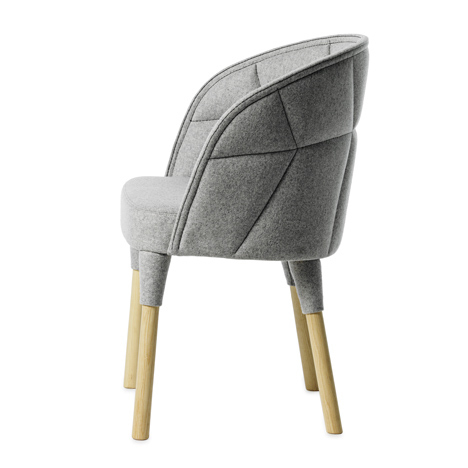 Padding is quilted into sections, creating a simple pattern on both sides of the back support. 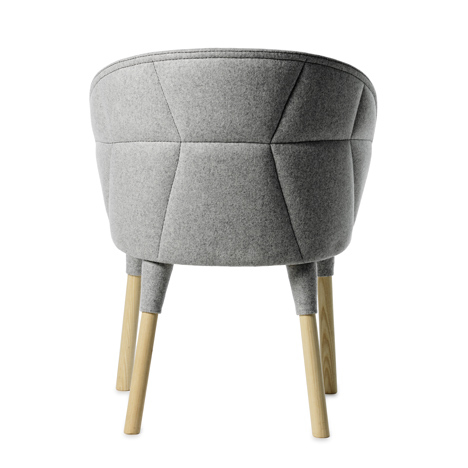 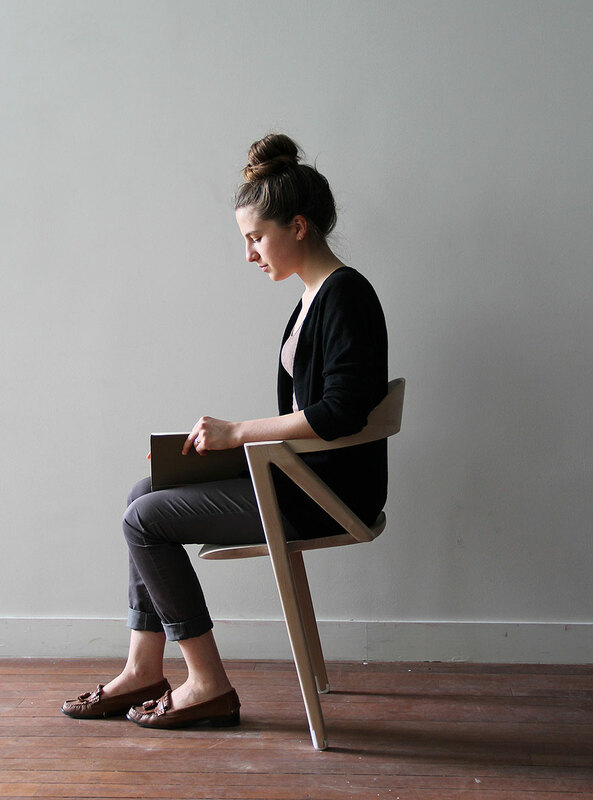 It comes upholstered in fabric or leather and solid ash legs poke out from short sleeves of material below the seat.